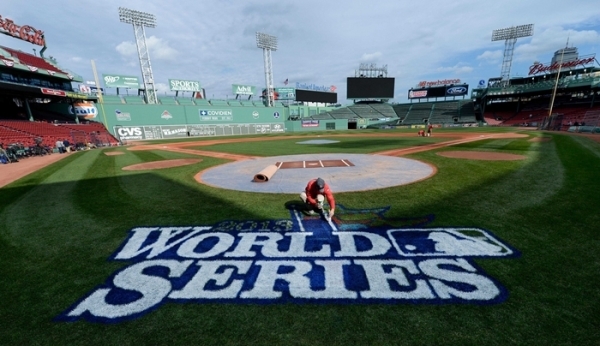 2013 Baseball World Series: Where’s Ozzie Smith, Willie McGee, Jim Rice and Oil-Can Boyd? Actually, Where Have All The African-American Players Gone? I met with some clients a couple of weeks ago from South Korea. We talked a little baseball, and one of the gentlemen stated that one of the teams had no Korean players on the team, so he was going for the other. I laughed and told him these days, I’m struggling to find African-Americans on any baseball team either! This years Fall Classic featuring the Boston Red Sox and the St. Louis Cardinals looks like nothing like your father’s baseball teams. Four of the nine were African-American, or perhaps we could say they were batting .444, which was very good! 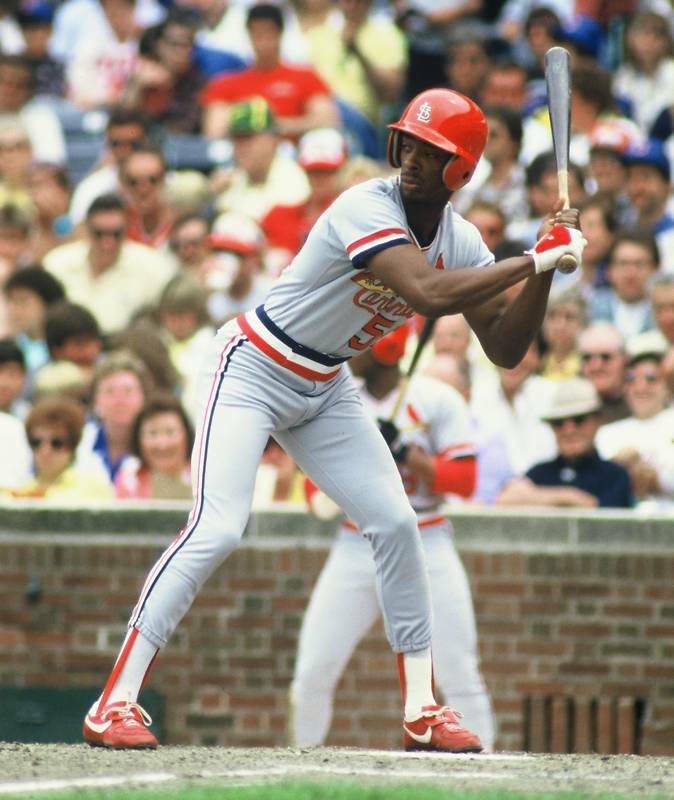 Anytime I can get my man Willie McGee in a blog post, it’s a good post! What about the Red Sox? One of the nine would at considered African-American, or perhaps we could say they were batting .111. Well, Boston was the last team to integrate in the MLB and it’s been said that African-American’s would rather cheer for the opposing team than for the home team (sounds like me actually). St. Louis, doing well, Boston,…not so much. The Red Sox have always had problems with their racist past (passing on Willie Mays because of his color) but were trying to change things, at least they were 10 years ago according to this article in 2002 (click here). So how much has actually changed? 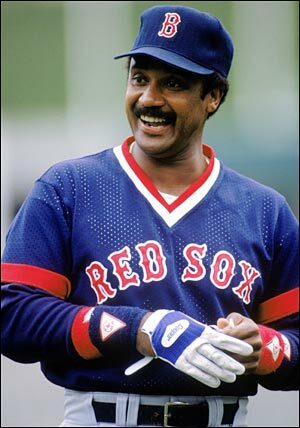 The following is an article from the Boston Globe seems to indicate that perhaps the 1983 Red Sox were ahead of the “changing demographic” time. I’m glad that some are still calling attention to the fact that African-American’s are becoming extinct in the National Pastime. Why is that a problem? Because the train will not be returning to the station to pick up the passengers left back. As legendary Father of Sports Sociology Dr. Harry Edwards pointed out in a recent interview, without African-American ball players, baseball is experiencing record profits (check out why Forbes feels it’s more than about ticket sales here). So with the money rolling in, why should that be a primary area of focus for MLB? Bob Costas, appearing on Dave Zirin’s Edge of Sports podcast (listen here), points out that the problem is beyond the changing demographics of teams, but the game itself could face overall irrelevance with future generations. As Costas duly noted, the NFL makes sure that its most important games can be seen by everyone. However, with MLB, the early rounds of the playoffs are nearly impossible to find (in some cases like Detroit vs. Oakland, the game was not on television at all in Detroit!) and the World Series comes on late and lasts long after the bedtimes of its future fans. Therefore, beyond the extinction of African-American baseball players in the game. Baseball needs to be careful that its current prosperity isn’t the final rally before the Closer (i.e. NFL) comes in to put them away in the game. Check out this article below from the Boston Globe by Gary Washburn. When Adron Chambers was left off the Cardinals’ World Series roster Wednesday to create a spot for the team’s RBI leader, Allen Craig, Red Sox utility outfielder Quintin Berry realized that he was the sole African-American representation on baseball’s grandest stage. This exemplifies an issue Major League Baseball has been grappling with for the better part of two decades. The participation of African-Americans has been dwindling to the point where there is not one black starter or front-line player in this year’s Fall Classic. Berry, 28, who was acquired by the Sox from the Royals in August for his speed, is unlikely to even get an at-bat in the Series. It’s a stirring testament to the decline of baseball’s popularity in the African-American community. MLB records show that just 8.5 percent of players on Opening Day rosters were black. And now, just one of the 50 players participating in the World Series identifies himself as African-American. Berry, whose father is black, said he is fully aware of the declining numbers and that many athletes of his generation chose to pursue basketball or football, more fast-paced and popular sports. “Especially being from the neighborhood that I’m from, you don’t see a lot of guys playing this sport,” said Berry, who went to Morse High School in San Diego. “You see them playing football and choosing that alley. The problem is not a lack of effort by Major League Baseball. It has implemented RBI programs — for “Reviving Baseball In Inner Cities” — throughout the country to encourage young African-Americans to embrace the sport. But MLB in general has done a terrible job of promoting its sport, let alone to African-Americans who admire athletes such as LeBron James and Adrian Peterson. Major League Baseball has long struggled with self-promotion, and the past 20 years have been a public-relations disaster considering the scandals involving performance-enhancing drugs. Seven-time MVP Barry Bonds was perhaps the most talented player of his generation, yet baseball wants nothing to do with him because of his association with PEDs. While the NFL and NBA are busy ushering their all-time greats into the Hall of Fame, baseball wishes Bonds, Roger Clemens, Mark McGwire, Rafael Palmeiro, and Sammy Sosa would disappear. Part of the issue is that baseball is a classical sport caught up in a hip-hop world. The games last well beyond three hours. The pace is slow. The commentators analyze the game as if they were detailing the government shutdown and not talking about a kid’s game. The sport takes itself much too seriously, and for the casual fan — which most kids are — that translates like organic chemistry. With the sport considerably less appealing than basketball or football to the novice fan, there isn’t the eagerness for parents to register their kids for Little League. A generation ago, it seemed Little League was a staple of every community. Even if you didn’t like baseball, you played on the local park team. Now? Those kids are playing basketball, football, and soccer, or have become part of the X Games trend. Former major league outfielder Chris Singleton, now a commentator for ESPN, believes the issue expands beyond the playing field. “I’m looking at management positions in the game,” said Singleton, who is African-American. “I know we’ve had an issue with the declining number of African-American players on teams, whereas you had teams like Minnesota, which had one player, Aaron Hicks, and then when he got sent down, they didn’t have an African American player, which is kind of a first in a long time. There has been an influx of African-American talent such as Matt Kemp, Jason Heyward, David Price, Adam Jones (Berry’s high school buddy), and Andrew McCutchen, but many of those players would go unrecognized by the casual sports fan. Also, one current African-American major leaguer said there’s a perception among African-American major leaguers that the game isn’t as welcoming to them as it is to others when their physical skills begin to decline. A fundamental problem is that baseball didn’t have to emphasize its greatness, its beauty, and its allure to previous generations. It was America’s Game. The national pastime. That is no longer the case. Baseball has to restate its worthiness to a new generation, one that didn’t grow up breaking in new gloves with plenty of oil and a couple of nights under the bed post — for those who don’t remember Bo Jackson scaling an outfield wall or Dave Parker throwing out Brian Downing at third base on a bullet from right field. Otherwise, the sport is simply selling itself on history and tradition, and as with many other genres, that isn’t good enough for the young folks. “When I go home and tell my buddies what the game needs, they need guys with speed and athleticism and the role that I am doing,” Berry said, “hopefully that will help them or their kids down the line, maybe push them to try to get them into this sport. Gary Washburn can be reached at gary.washburn@globe.com. Follow him on Twitter at GWashNBAGlobe.